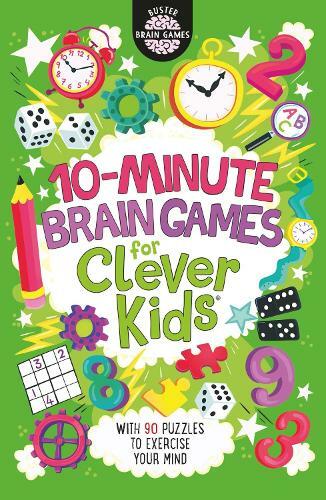 Contains 90 brilliant, ten-minute puzzles, to help train your brain. The wide variety of puzzles and exercises will keep you guessing and give your brain a real workout. Including memory tests with words; shapes and numbers; simple calculations; word squares and jumbled sentences; verbal-reasoning exercises and Sudoku and Kakuro problems. The puzzles will test language, memory, attention and reasoning. By completing just one puzzle a day you can become a super puzzle master. Created by best-selling puzzle book author Dr Gareth Moore, author of the chart-topping success Brain Games for Clever Kids.